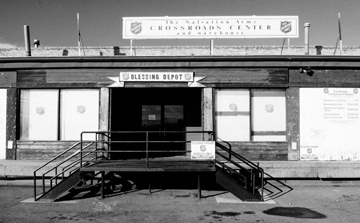 The Denver Salvation Army closed its Crossroads Men’s Shelter last month. The Salvation Army will redirect resources from the emergency shelter to support services such as counseling and transitional housing programs. The Salvation Army is hoping to better align itself with Denver’s 10 Year Plan to End Homelessness.The closure is also due in part to the economic downturn. “In our ongoing mission to do the most good for people in need we are making this change,” says Capt. Ron McKinney, Salvation Army city coordinator. “Recognizing the limitations of funds that are available requires our agency to be as effective as possible in the use of monies.” Last December, The Salvation Army saw their donations drop by 30 percent. 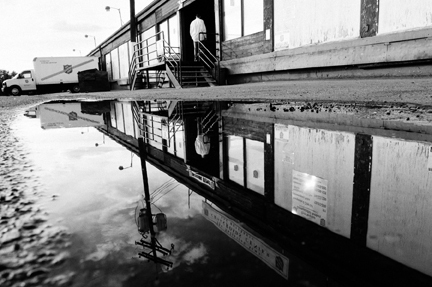 The Crossroads Men’s Shelter first opened in 1983. It had 136 beds, 99 regular mats and up to 330 emergency mats. The shelter housed an average of 230 men per night during warm weather and 300 men per night during winter weather. Crossroads also served over 900 meals per day.